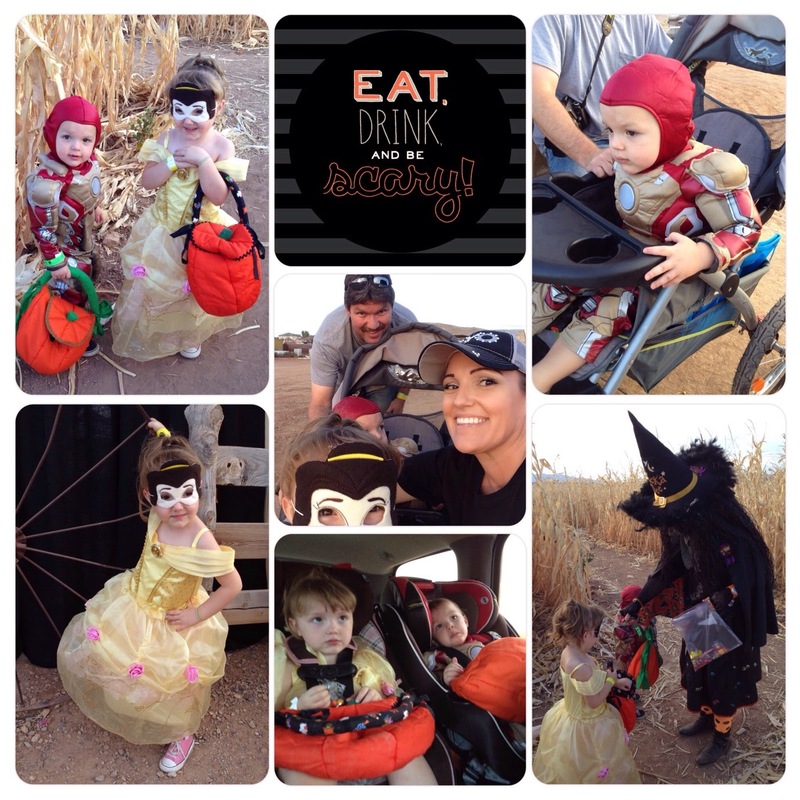 This year Halloween was not spent at home. This is the first year we would not be trick or treating at home. Totally new experience for us but we roll with the punches. 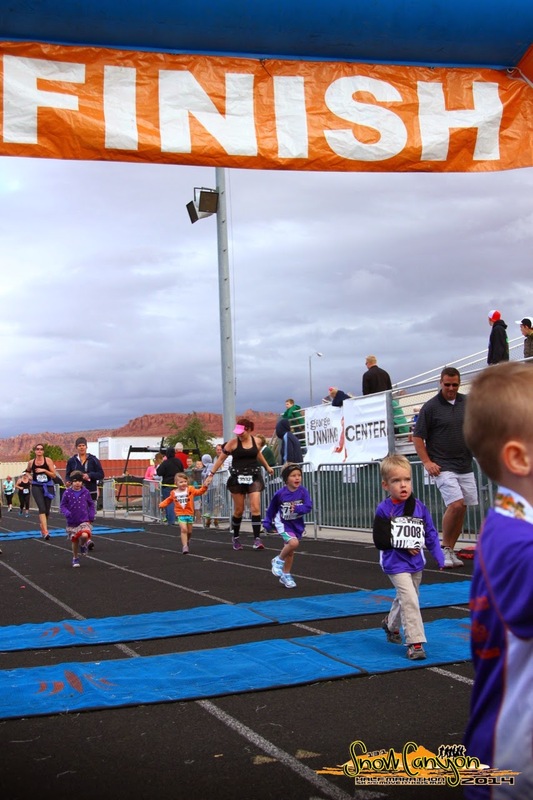 I was running a half marathon the day after Halloween so we were in St. George for Halloween. We had the most fun. 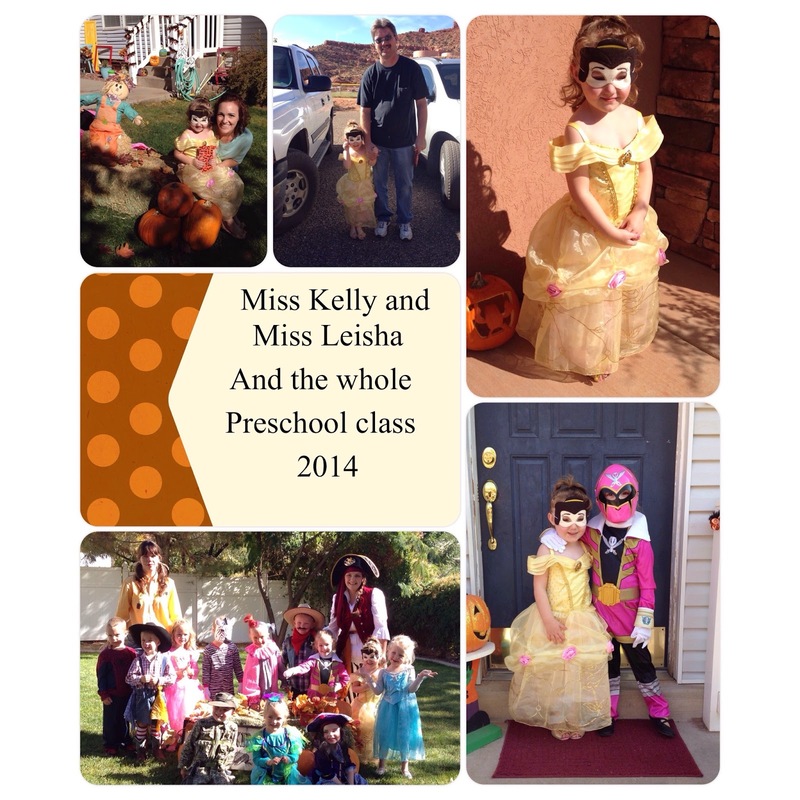 Our Halloween was celebrated in 2 days so let me first tell about Shelby's school program. She got to dress up in costume on Thursday for school and have a little program. It was the cutest thing. The kids and the teachers looked amazing in costume. Shelby was not shy this year singing the songs. She did great. She was most excited that she could see her grandma in the crowd. Little stinker. The next day we had lunch with Shelby's cousin and my aunt before taking off on the road. She is still in her dance costume. They are the best of friends. Then we got on the road. Race packet pick up was at Staheli Farm. We love that place. They had Trick in the Corn for the kids. So great. I am not huge on a lot of sugar for my kids so this was perfect. He was mad that I would not let him touch the guitar playing skeleton. The next day was race day. I had a horrible race but I finished. My head was not in it. I was focused on Shelby and her first race. I made it to her with literally seconds to spare. She did great. All in all I would say we had an amazing Halloween.